Balance of hops and malt with crisp, dry finish. ​​Offers the perfect contrast to Thai, Pan-Asian, Latino Fusion, Mexican, Peruvian and other spicy cuisines. ​Unfiltered with orange, citrus and coriander aromas. Complements salads with light citrus dressings and feta or goat cheese as well as ceviches and other light, citrus-flavored dishes. Very refreshing & thirst quenching. ​Complements lemongrass, ginger, garlic, cilantro and similar flavors; adds depth to light dishes such as spring rolls and salads. Roasted flavor complemented by nutty and toffee characteristics. ​Works well with smoked meats, especially bacon; complements chocolate-, espresso- and coffee-flavored desserts and soft, creamy cheeses. Malty flavor balanced with hints of caramel and chocolate. Pairs well with roasted pork, smoked sausage and hearty foods; complements the nutty flavors of chicken satay, cashew chicken, pecan pie and peanut sauces. Increased maltiness with prominent hoppy aroma & flavor. Complements intensely flavorful, highly spiced dishes, such as curry, and bold, sweet desserts like flourless chocolate cake and crème brulée. Pronounced hops aroma and bitterness with a refreshing finish. Works well with salmon, tuna & other high-fat, oily fish and with marbled meats; bitterness offers pleasing contrast with sweet reductions and sauces. The strong beer characteristics​ stands up to the intensity of the pork fat. Complements sausage, tenderloin, terrine​, intense flavorful, highly spiced dishes, such as curry, and bold, sweet desserts like flourless chocolate cake and crème brulée. Sweet caramel notes with spices and a smooth finish. Complements rich, aromatic, spicy and smoked foods such as chili, BBQ ribs, grilled chicken, and beef. Prevalent dark chocolate, coffee, prunes, and brandy flavors. Highlights the nuttiness and braised, caramelized integrity of dishes with brown, savory sauces; complements silky, salty foods like oysters on the half shell. Bursting with fig, plum and raisin flavors, that are all well balanced by a very effervescent carbonation. Cheeses such as, Brie (Fruity & Spicy), Gouda (Malty & Sweet), Aged Cheddar (Hoppy & Bitter), Blue (Dark & Roasty), Mozzarella (Clean & Crisp). 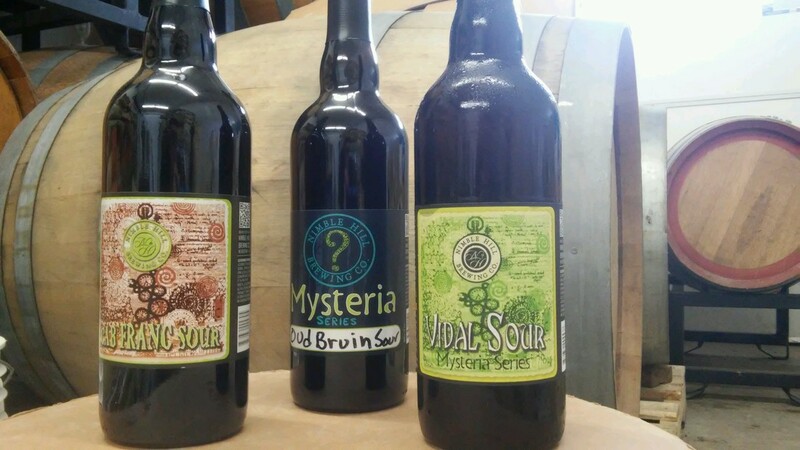 Combining these sours with these food flavors brings out umami and adds earthy notes that rest on the center of the palate. Rich meats and root vegetables such as, parsnips, carrots, beef strip loin, and lamb.